ADULTS ONLY HOTEL children under the age of 15 years, are not accepted). The Victoria Hotel is a classically superior 4* property which is located in the central regions of Sliema and can be found just a short walk off the main seafront promenade. The central town of Sliema which is situated on the east coast is one of Malta's premier resorts and is also the main commercial district after the capital city of Valletta. The town is a vibrant centre with a wide variety of boutiques, restaurants and delightful Al Fresco pavement cafe's which are a very popular stopping point for those who like to take things easy and watch the world go by. The Harbour of Sliema is the berthing place for local cruise ships from where visitors can take day trips around the islands of Malta, Gozo & Comino or perhaps a shorter cruise around the two main harbours of Malta. 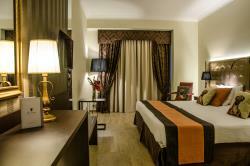 The Victoria Hotel is one of Malta's 4* boutique hotels that is classified in the 'superior' range of accommodation. The hotel which is designed in a Victorian theme offers guests charm and character but still retains a superb level of service throughout. 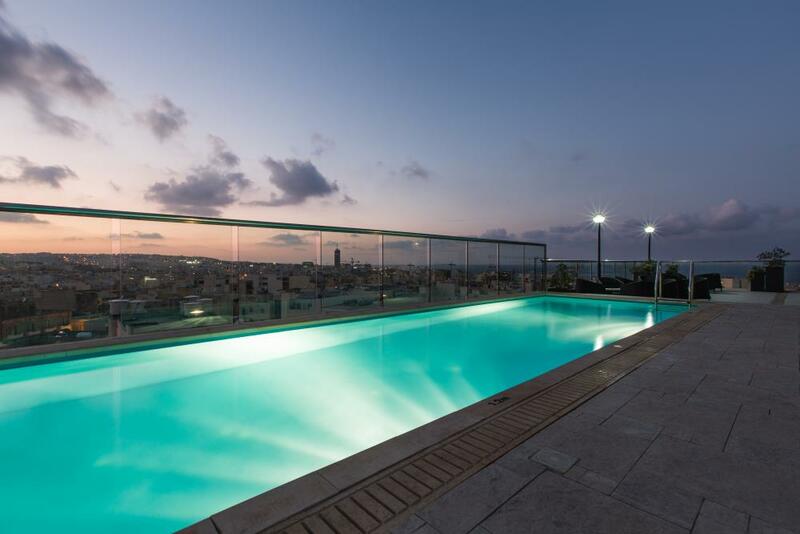 The hotel is located within the town of Sliema yet is situated just a short walk from the main promenade that runs from Sliema to the neighbouring town of St. Julians. Transport links to all areas of Malta can be found within strolling distance of the Victoria Hotel whilst guests who choose to rent a car for exploring the island can benefit from the hotels underground car parking facilities. Whether enjoying a coffee in the ‘Penny Black’ lounge or dining in the ‘Copperfield’ restaurant, guests of the Victoria are assured of excellence throughout. 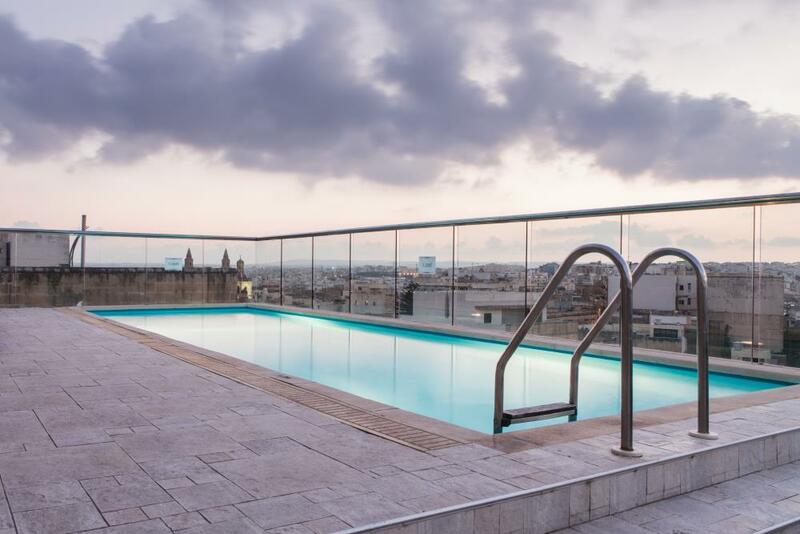 The Victoria Hotel has a large roof area which boasts a good sized pool and lots of sun terrace space for relaxing and enjoying the Maltese sun. There are lots of sun beds and parasols which are all free of charge to the guests. The Penny Black Bar is open daily for light snacks or wine and cocktails. 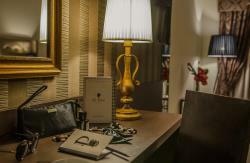 Wireless Internet access is available in all public areas of the hotel and in the rooms at a surcharge. The hotel has underground parking which is complimentary to guests of the hotel that wish to hire a car during their holiday on Malta. Guests of the Victoria Hotel can enjoy a luxurious Spa which is spread out on three levels, including a fresh water indoor pool. The facilities of the spa centre include a fully equipped fitness room, saunas, steam room and various treatment rooms. The Wellness Centre offers various packages, from anti-stress massages to reflexology, from saunas to oriental cupping therapy and body care products customised for your particular skin type. The Victoria Hotel has a total of 120 guest rooms offering a superb level of comfort and style in the superior range of 4* accommodation. The decor of the rooms at the Victoria Hotel have been designed in either a fresh Mediterranean colour scheme of blues and whites or in a sumptuous Victoria mahogony style. Each of the rooms are furnished to the highest standards and include a range of facilities that are in excess of that found in other 4* standard hotels. 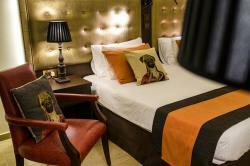 A choice of rooms with or without a balcony is also available at the Victoria hotel. The rooms are larger than the average 4* range of accommodation which allows each room to also have a comfortable arm chair as standard. High speed internet access is also available in each room of this classic 4* hotel. is a classically decorated restaurant with furnishings designed to blend in with the 'Victorian theme' of the hotel. Gilded mirrors, a carved mahogany buffet counter and antique paintings add to the general ambiance of surroundings. The dinner at the hotel is served in a typically Mediterranean theme although a wide selection of International dishes is also available each day. For guests who choose to book with breakfast only, the areas around the hotel offer a wide range of dining options from small bistros offering budget menus to specialist restaurants offering fine dining opportunities. Free of charge on Breakfast basis / Half board meals charged directly in resort on consumption. Sliema is one of Malta's main coastal resort towns and a heartland for shopping, entertainment and café life. The long stretch of rocky coastline that goes from Qui-si-Sana all the way to St. Julian's is thronged with sunbathers during the peak summer months. Steps and handrails placed every so often allow easy access to the water. There are plenty of flat rocks to spread a towel on. The sea here is deep, and generally clean, clear and safe to swim. It is also excellent for snorkelling. Some hotels along the front, especially at the St. Julian's end, provide beach concessions equipped with pools, water sports and lido areas for nightlife. The favourite beach areas are: the Tigné area, Qui si-Sana, Għar id-Dud, the Exiles and Fond Għadir. Some are well-known lidos or beach clubs with public access. In peak summer the Sliema beaches become a very sociable, lively place to be by mid-afternoon. The promenade is excellent for long, striding walks in winter, slow strolls on summer evenings and for watching the spectacular waves during freak autumn storms. You will find plenty of snack bars and restaurants on the coast road and kiosks near the shoreline. Valletta to the south or St. Julians to the north are each within touching distance of Sliema therefore the Victoria Hotel is perfectly located to enjoy the benefits of each of these popular destinations. Valletta, the old capital built by the Knights is the cultural heart of Malta whilst St. Julians is a more modern resort offering a cosmopolitan choice of dining and entertainment options for guests of all ages. 3 km stretch of rocky beach. After a phase of in-depth renovation, the state-of-the-art Leisure Facilities at The Victoria Hotel and The Palace are now up and running and available to all guests staying at the hotels. Guests can now enjoy a luxurious Spa spread out on two levels, including a fresh water indoor pool and an outdoor pool. 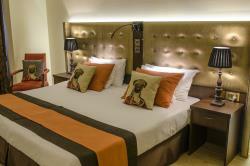 The facilities also include a fully equipped fitness room, a sun terrace, saunas, steam room and treatment rooms. It’s the perfect place to retreat, relax and unwind from the pressures of everyday life. The Wellness Centre offers various packages, from lunch time anti-stress massages to reflexology, from saunas to oriental cupping therapy and body care products customised for your particular skin type. The serene interior, invigorating scents and inviting indoor pool offer a relaxed ambiance bound to cocoon you in absolute inner peace.